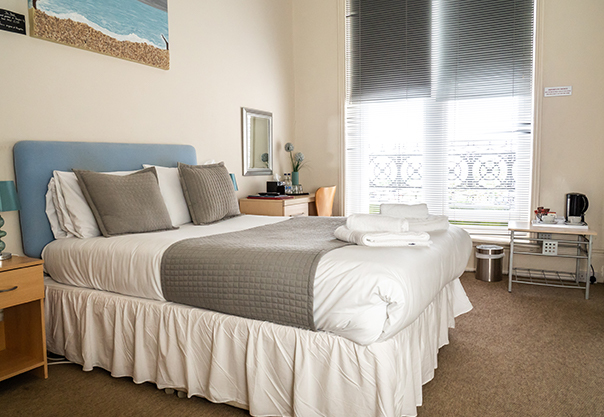 4 Star deluxe accommodation on Worthing Seafront. While our spacious suites and bedrooms retain much of their original Victorian features, every bedroom is designed with comfort in mind, and complimented by stylish décor. We offer Single Rooms, Executive Single Rooms, Double Rooms, Executive Double Rooms, Twin Rooms, Family Rooms and a number of Luxury Executive Suites with beautiful sea views, perfect for that special occasion. All our rooms are equipped with everything you need to relax and enjoy your stay. We have several stunning sea view rooms; to reserve one, please enquire when booking. 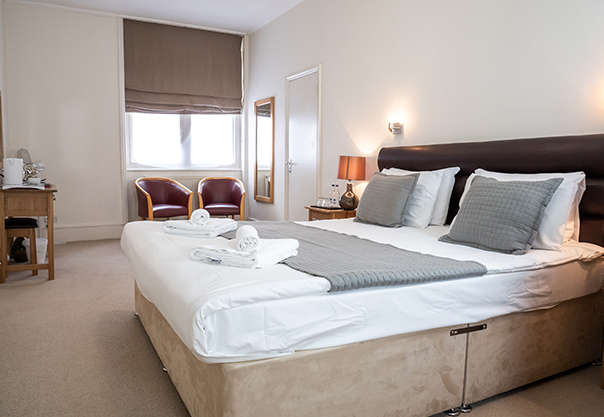 All our bedrooms are en-suite and we provide soft towels, toiletries and other small essentials. Each room has Free-view TV, complimentary Wi-Fi, desk space, telephone, tea and coffee making facilities, a hairdryer, and ironing facilities. A Full English or Continental Breakfast is available in the morning, or you may wish to choose from our Breakfast Menu to get your day off to a hearty start, with special requests accommodated where possible. A restaurant menu is on hand for perusal in your room, with Room Service available from our Bar and Restaurant Menu, please click here for serving times. 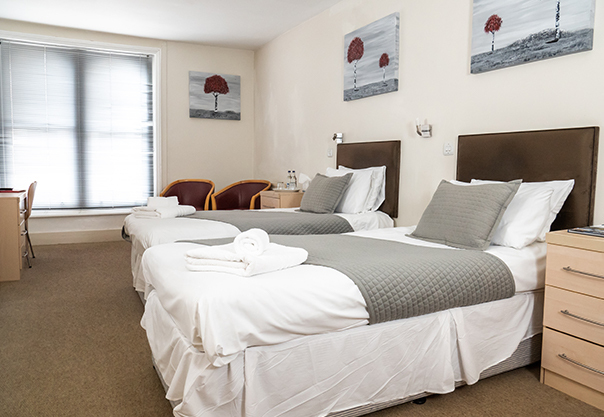 Our single rooms all offer a single bed, with en-suite toilet and shower or bath. Desk, Ironing facilities, heating, hairdryer, TV, telephone, radio, tea making facilities and complimentary water and toiletries. 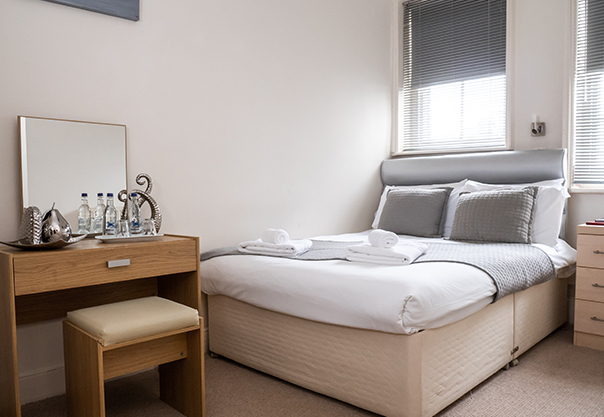 Our single executive rooms provide a double bed but are a slightly smaller room than our standard double rooms with en-suite toilet and shower or bath. Desk, Ironing facilities, heating, hairdryer, TV, telephone, radio, tea making facilities, complimentary water and toiletries. 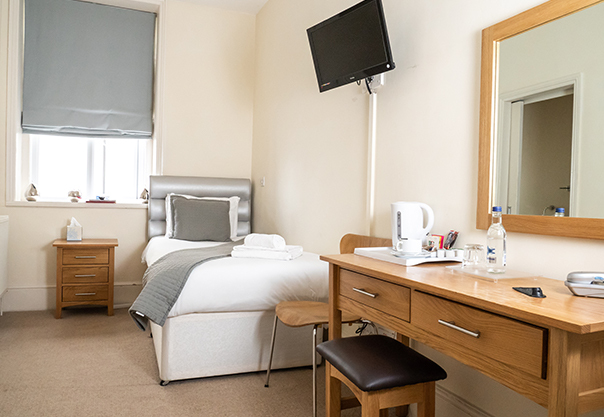 All our double rooms have a double bed, these are more spacious rooms than the executive single rooms and include en-suite toilet and shower or bath. All these rooms have a King Size bed, with en-suite toilet and shower or bath. 2 single beds, with en-suite toilet and bath or shower. 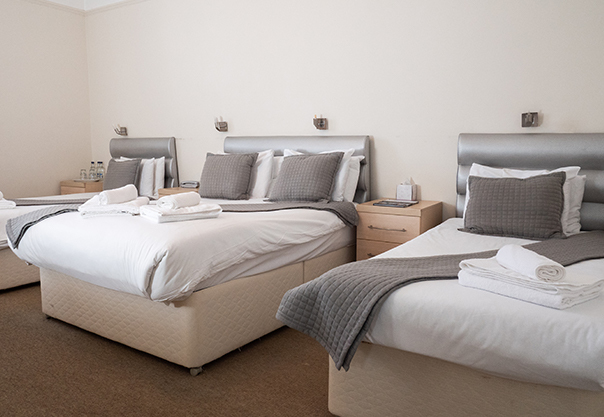 Providing a double bed and another 1 or 2 single beds, some also have the option to provide an additional z-bed or cot. 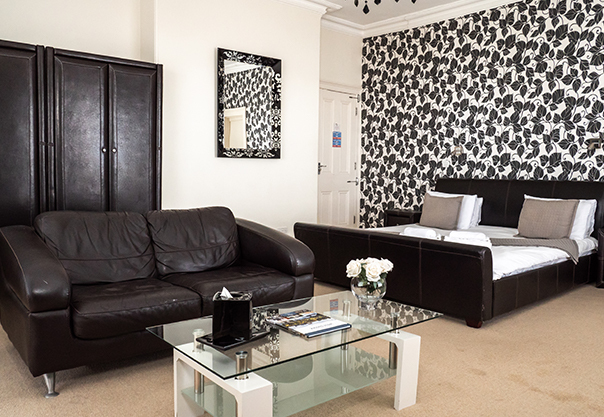 Generously sized rooms offering a King Size bed, seating area, toilet and bath or shower en-suite. Mini fridges, desk, Ironing facilities, heating, hairdryer, TV, telephone, radio, tea making facilities, complimentary water and toiletries. Some rooms have a seaside or direct Seaview depending on the room and availability. All rooms include complimentary wi-fi. Please note that when booking a Family Room we can only have a maximum of 2 adults (an Adult is classed as anyone over the age of 13) at any one time. Any extra guest over 13 in the room will incur a surcharge of £25.00 per night. 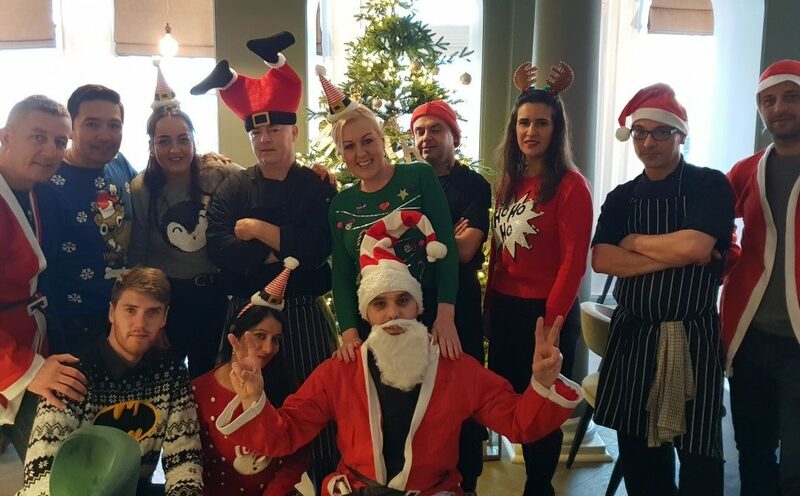 The Burlington Hotel would like to advise our guests that due to the popularity of our hotel and restaurant, we hold private functions on occasions, which may have music playing late into the night. As we are committed to providing a quality service for all of our guests, if you do need a quieter room then please let us know so we can ensure that you are not disturbed during your stay. The hotel has a no smoking policy in all of our rooms. Should you smoke in your room the Burlington Hotel reserves the right to charge you to cover the cost of cleaning the room and for the disruption caused.